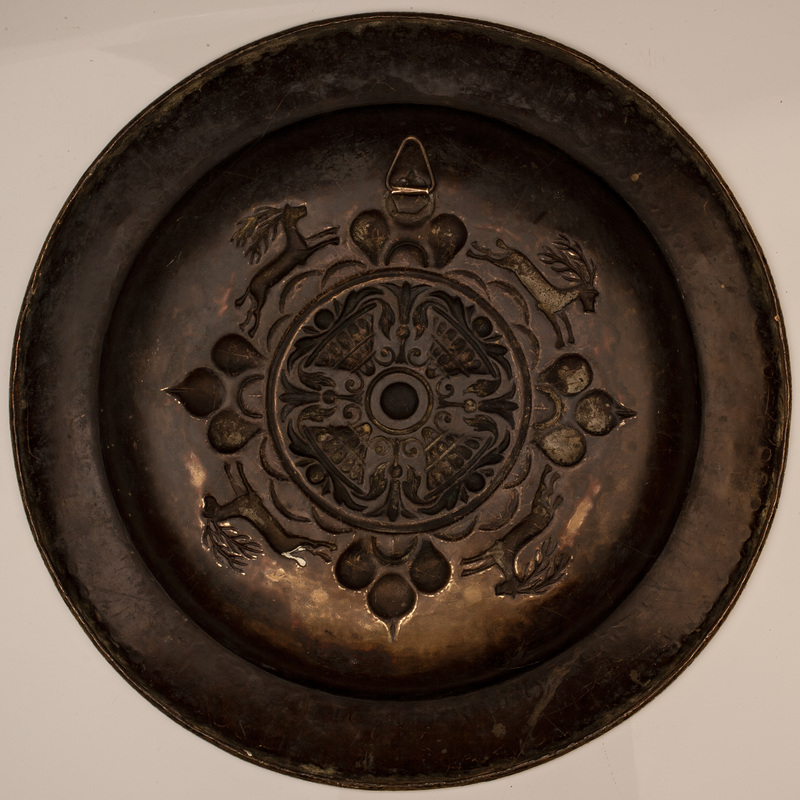 A particularly large and impressive Nuremburg brass dish, early 16th century, embossed with four running stags separated by fleur de lys around a centre boss of four flaming braziers; the broad outer rim stamped with two bands of decoration. 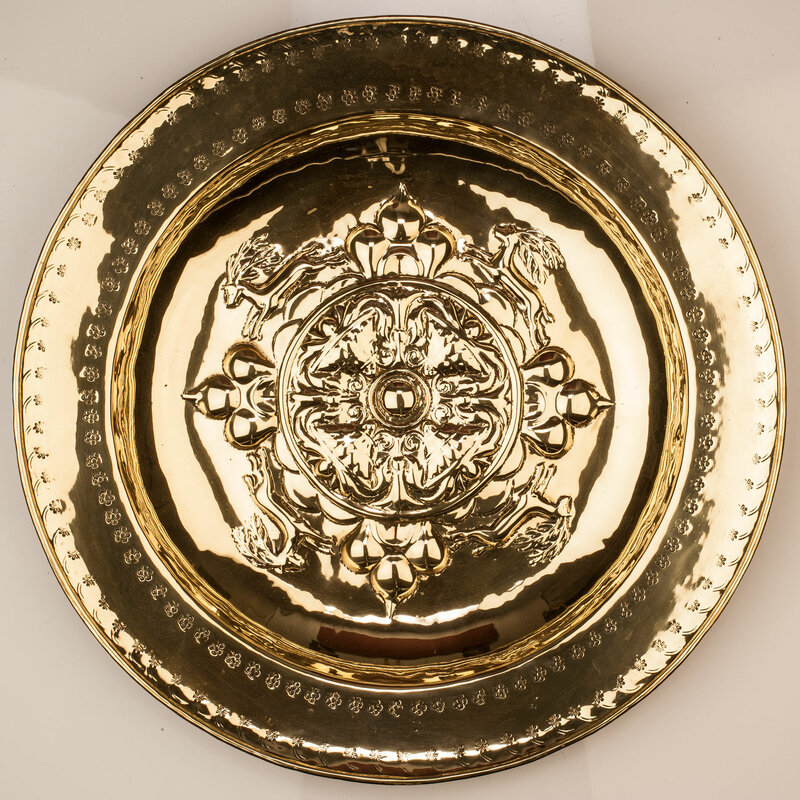 These dishes were often used as alms dishes when imported into England but were more often used secularly, in conjunction with a brass ewer, for the washing of hands after a meal. In secular art the stag is the attribute of Diana, the huntress, who changed Actaeon into a stag. Known for its speed and sharp senses the stag is an attribute of hearing, one of the five senses, and of prudence.